As the Premier League completes another round of VAR testing, it’s incredible to think how drastically opinions on the technology have changed since its first sighting in English football during the second week of January 2018. If that FA Cup outing proved a disappointingly uneventful affair, only using VAR to check that Glenn Murray’s late winner against Crystal Palace hadn’t been aided by his hand, by the next round of the competition it had taken centre-stage. West Brom were Liverpool’s kryptonite last season, undefeated in three encounters despite suffering relegation from the Championship, and their greatest triumph came in the FA Cup – a shock 3-2 win at Anfield. But rather than Jay Rodriguez’s impressive brace or Liverpool’s winter malaise of losing to Swansea City and the Baggies in subsequent games, it was the sudden proactivity of VAR that dominated the headlines. 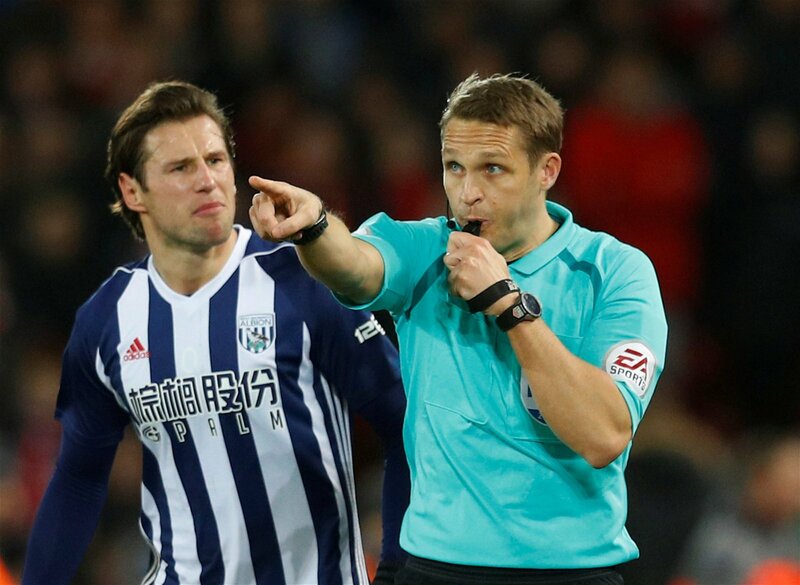 In the first half alone, Craig Pawson turned to Video Assistant Referee Andre Marriner to rule out a Craig Dawson goal, award Liverpool a controversial penalty for the slightest of Jake Livermore tugs on Mohamed Salah and delay the awarding of the Baggies’ third goal, which eventually proved to be the winner. While at least two of the three decisions were the correct ones, this was the dystopian future of the beautiful game that VAR sceptics feared; the technology becoming as big a spectacle as the match itself, the game being drawn out, slowed down and disrupted by endless stoppages, and the crowd growing angry and detached as conferring referees left them in the dark over big decisions. All of those concerns were experienced at Anfield that night, in a match that highlighted the negative ways in which VAR could change the shape of football as we know it. In fairness to Pawson, his heavy reliance on VAR was a direct reaction to what had taken place in the previous round – chiefly a replay between Chelsea and Norwich City. Willian was brought down in the box by a challenge that defender Timm Klose later admitted was a foul but rather than awarding a penalty, referee Graham Scott booked the Blues midfielder for diving. Video Assistant Referee Mike Jones didn’t feel Scott’s mistake was ‘clear and obvious’ – an ambiguous term that still results in inconsistency – and Alan Shearer told the whole Match of the Day audience that the system was a ‘shambles’. At that early moment of VAR’s life in English football, perhaps indeed it was. The quantity and quality of its use deviated with practically every game, and it still relied on subjectivity to resolve key decisions. Some of those problems still persist, and yet when the Premier League announced it wouldn’t be using VAR this season, the initial public response was disappointment and bemusement. Rather than celebrating another year of top flight football not soiled by lengthy disruptions and frustrating controversy, the collective question was why would the Premier League shun a technology readily available to them, that reduces injustices in the game? The turning point for VAR was no doubt the World Cup. 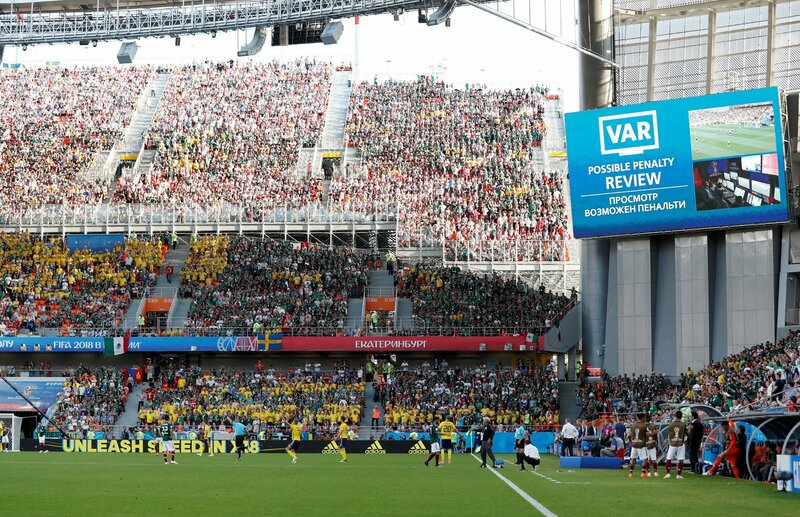 In some senses, fortune favoured the technology because it will now always be remembered as part of the most exciting World Cup in a generation, but VAR itself played a big hand in that too. There was an endless supply of goals in Russia and many of those came from the penalty spot. There were 29 penalties in total, 16 more than the tournament previous, and eleven were awarded with the aid of VAR. It also overturned 17 out of 20 wrong decisions and although hardly an exact science, ESPN gave VAR a 7.6/10 correctness rating from the 33 incidents in which it was used at the tournament. 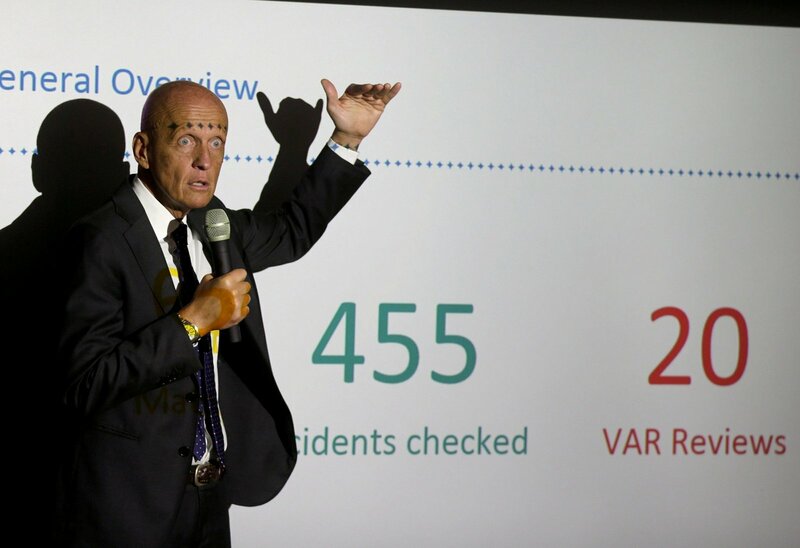 Keith Hackett explains that VAR pushed up the level of correct decisions at the World Cup to a near-perfect 99.35%. More than just statistics though, a summer-long, intense competition gave the wider public the chance to really appreciate the unforeseen benefits of VAR, which weren’t always visible during its intermittent, sporadic outings in English football’s cup competitions. The most pivotal of those is the confidence it gives referees and the new margin for error. Especially for incidents like penalties, referees can now be 95% or even just 90% sure and still award a spot kick knowing they can turn to VAR to make it absolutely certain. It’s impossible to put into accurate numerical terms the amount of penalties referees haven’t given in the Premier League alone because, for whatever reason, there was a niggling doubt at the back of their minds. Referees can now be proactive and decisive with such a safety net supporting them, rather than fearful of the potential backlash to a wrong decision. Inevitably, VAR still has a long way to go. One of the key logistical issues appears to be watching over several games at the same time, such as Saturday’s 3pms, from the the base in Stockley Park, and perhaps the most important one, as already alluded to, is creating a Premier League-wide consensus on the definition of ‘clear and obvious’. As things stand, referees, managers, players, pundits and fans will interpret that term markedly differently. The fundamental consequence is not quite understanding where VAR draws the line. But especially in a top flight as money-intensive as the Premier League, where every decision could be worth hundreds of millions of pounds when extrapolated across the long-term futures of managers, players and clubs, football desperately needs VAR. Having been a sceptic originally myself, that’s something I never thought I’d say – but I’m certainly not alone in the boat of converters. Since those early FA Cup outings and particularly the nightmare first half at Anfield, public opinion on a technology everybody feared has dramatically swayed over the last nine months. It’s now a case of the sooner, the better for VAR and the Premier League.